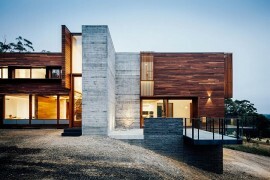 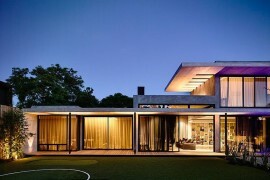 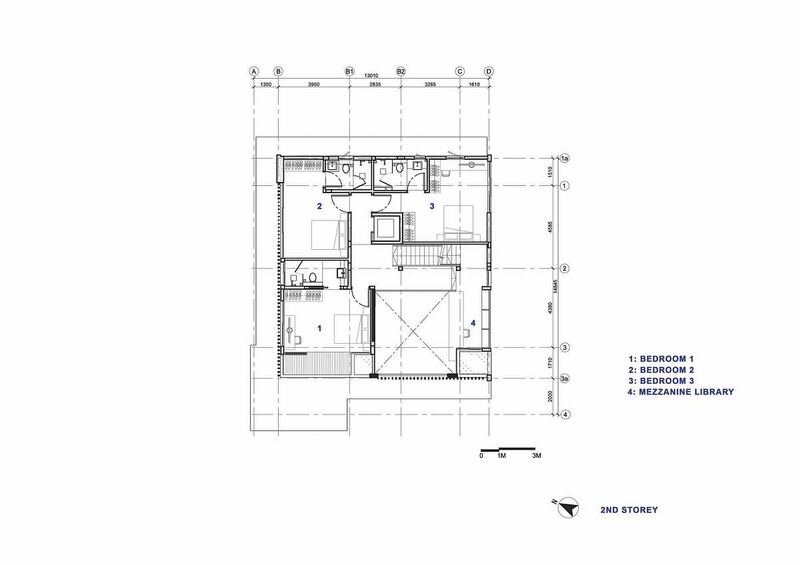 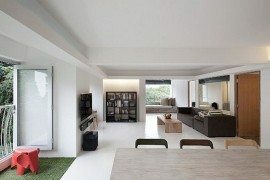 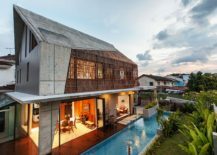 A modern residence that is much more than a mere giant ‘cube’ always draws attention, as it sets itself apart from the crowd. 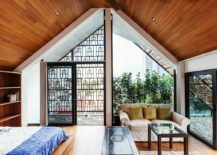 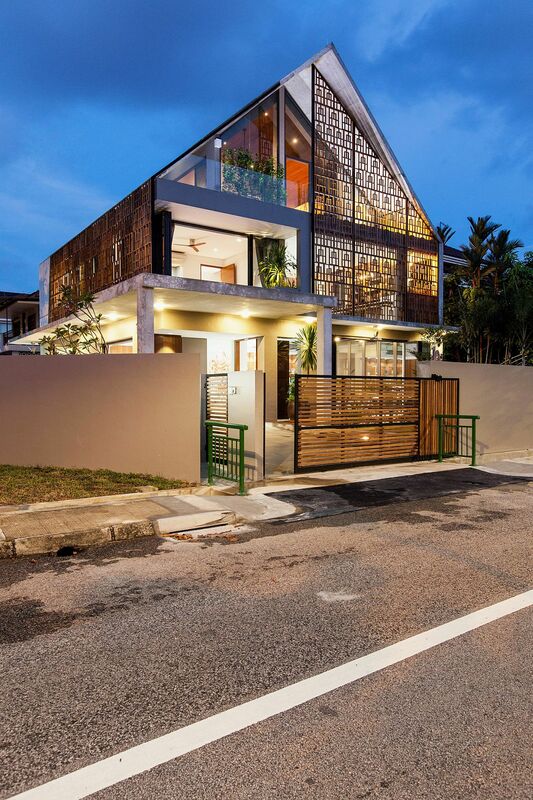 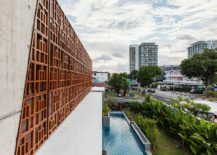 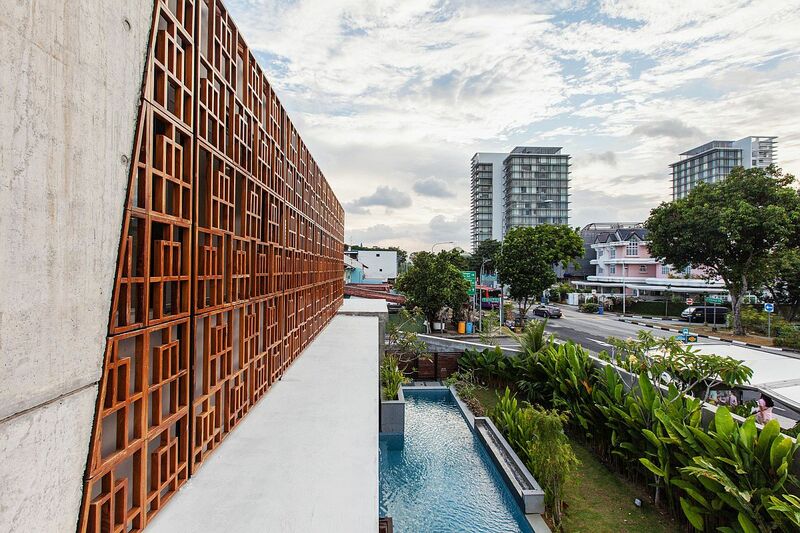 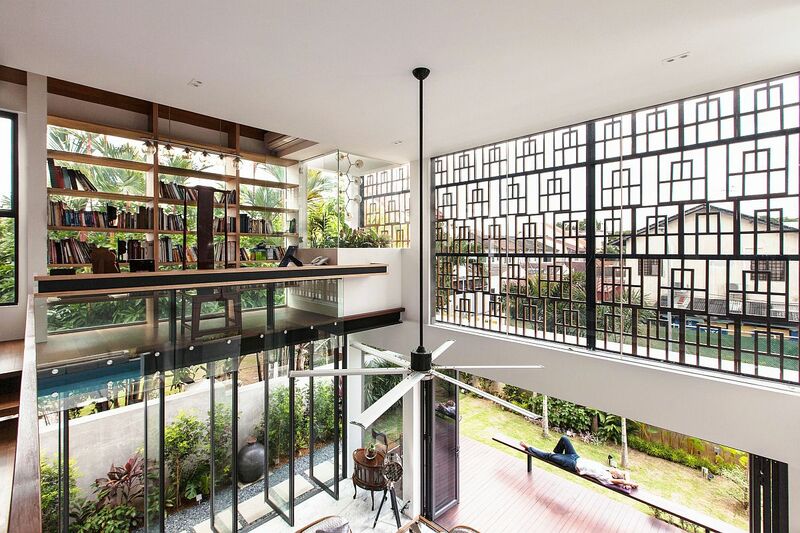 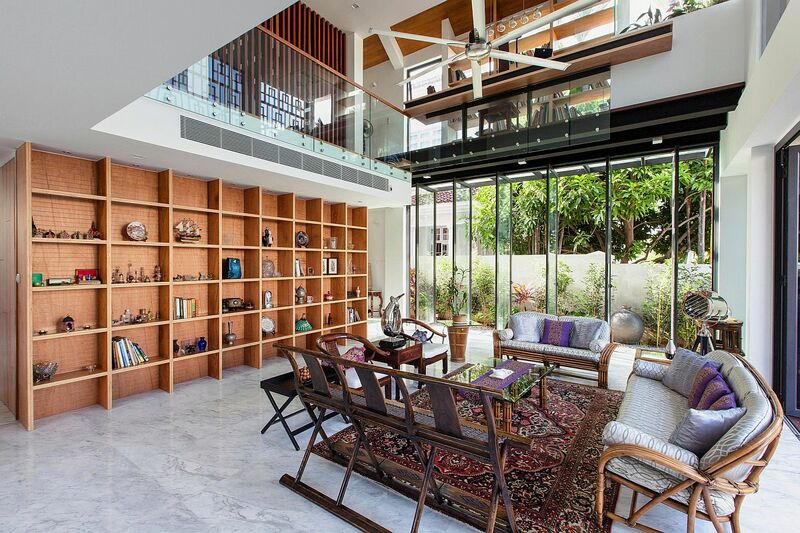 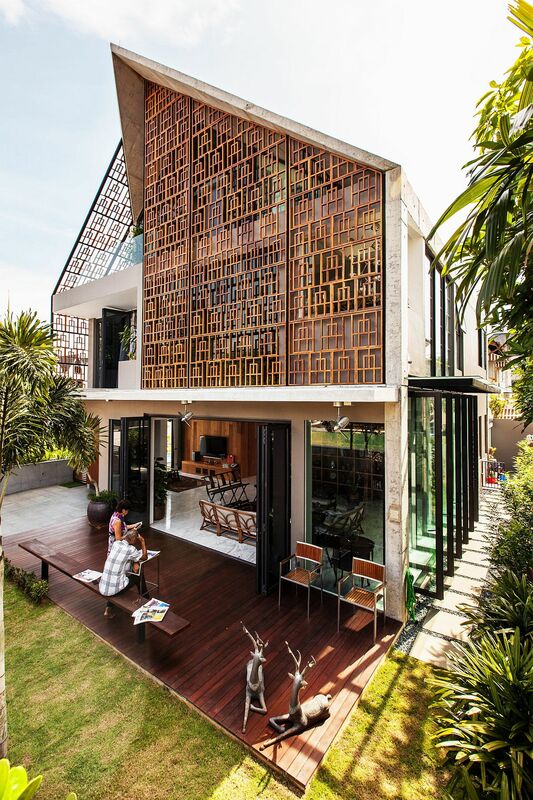 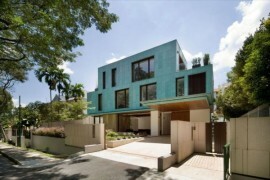 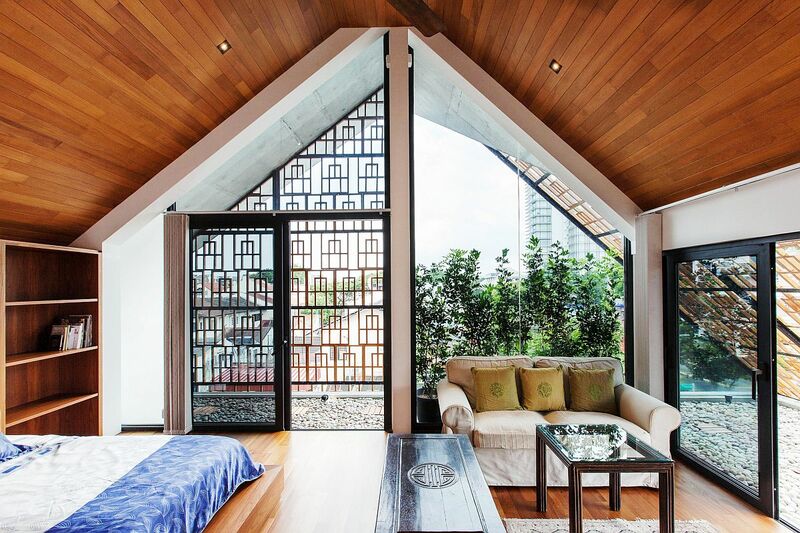 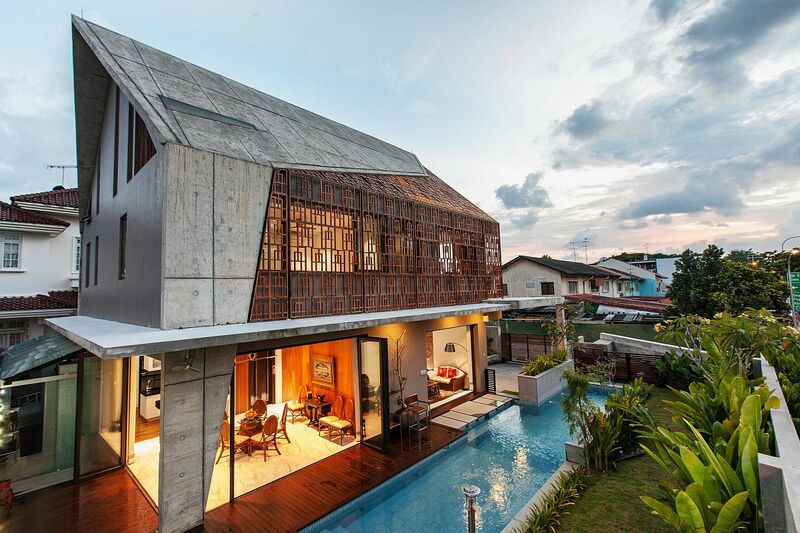 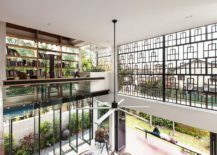 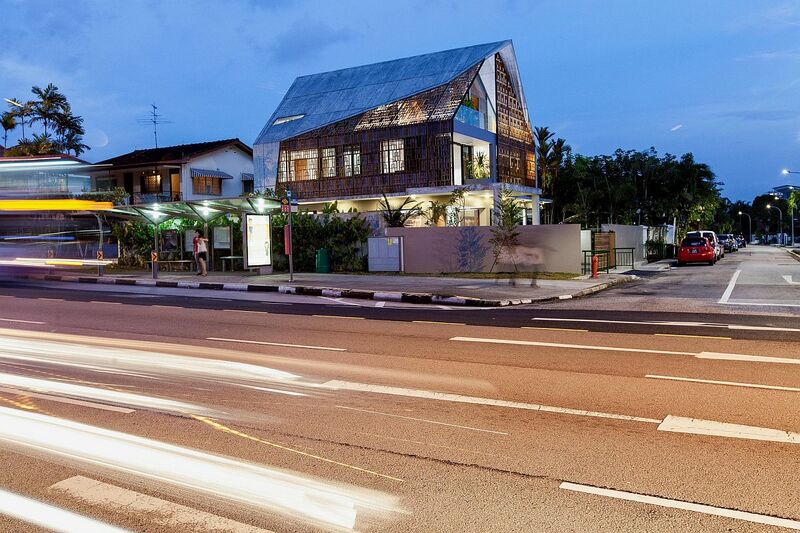 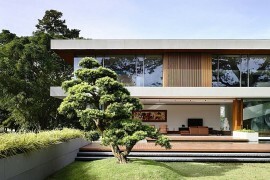 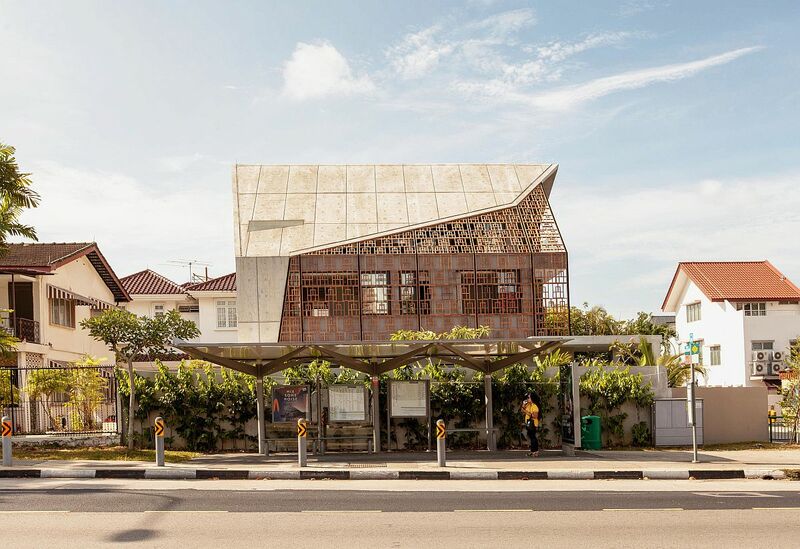 When it comes to an ingenious street façade that is both elegant and artistic, this gorgeous contemporary house in Singapore is an absolute winner! 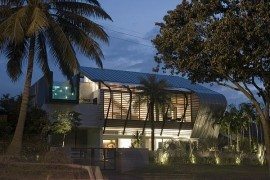 Designed by Aamer Architects, the striking residence is located in a busy neighborhood and in front of a bus stop, making its open and exquisite design even more impressive. 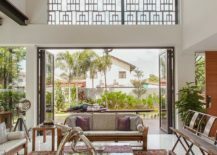 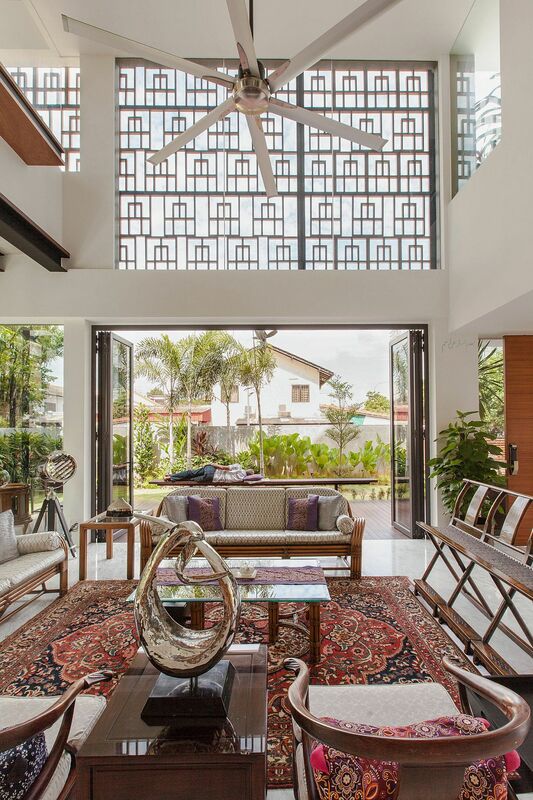 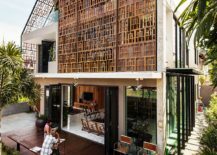 Shaped using raw off-form concrete and gorgeous teak screens from Bali, the house has an open and cheerful ambiance that complements its breezy exterior to perfection. 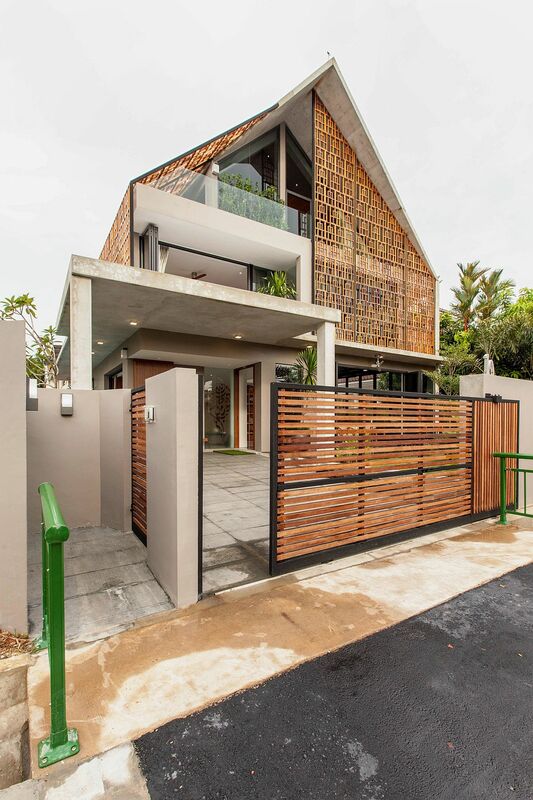 The attractive teak screens go beyond being mere eye candy, as they bring in a flood of natural light and provide the right level of ventilation on the second level of the house, even while protecting those inside from prying eyes and rough weather. 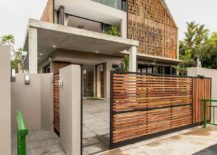 It is a delicate balance between openness and privacy that is achieved with these masterfully crafted screens, with the raw concrete next to it adding another interesting textural and visual element. 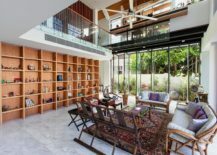 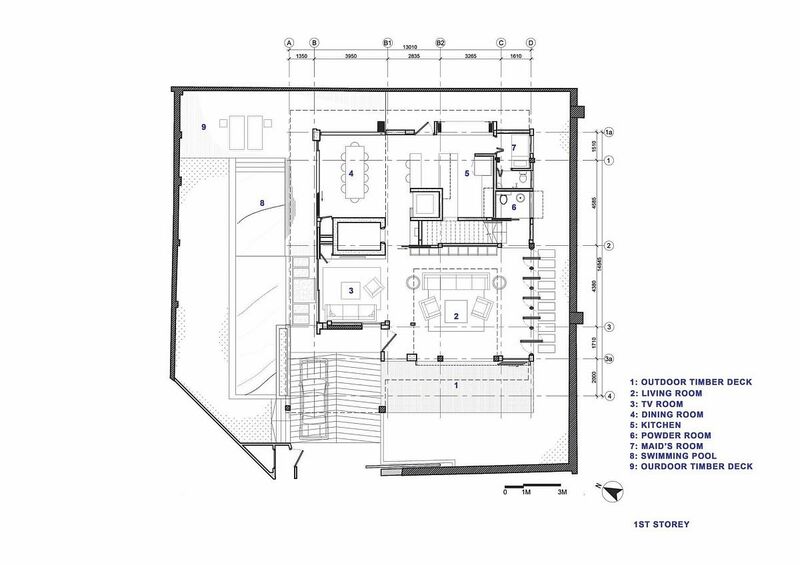 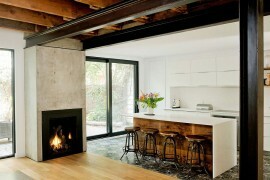 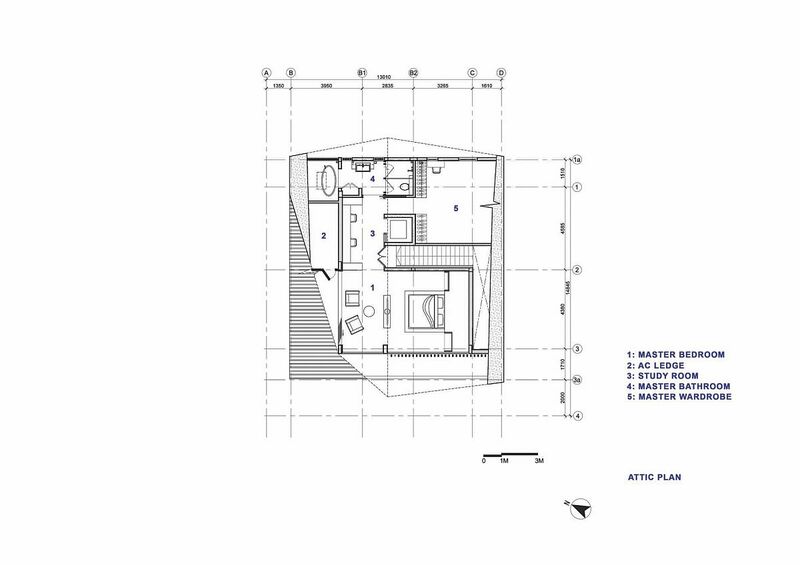 On the inside, one sees an open plan living area on the lowest level that flows into the timber deck and pool area outside.